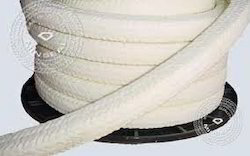 Our product range includes a wide range of glass fiber rope, ceramic fiber ropes, alkali gland packing style, asbestos rope, graphite gland rope and teflon rope. As an esteemed name in the relevant industry, we are offering a precision-engineered array of Glass Fiber Rope. Following industry defined guidelines, our vendor’s professionals manufacture the entire range by utilizing contemporary machines, modernize technology and prime grade raw material. In order to ensure quality, these ropes are rigorously tested upon a series of parameters. Moreover, clients can avail the offered ropes from us at market leading prices within given span of time. By utilizing skills of our dexterous workforce, we are offering a comprehensive assortment of Ceramic Fiber Ropes. 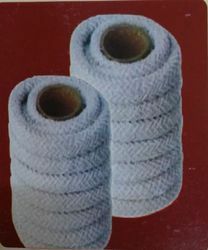 Typically used as replacement to asbestos packing.Our vendor’sprofessional manufactures these fiber ropes by employing optimum quality raw material and sophisticated technology in adherence to the set industry standards. Owing to features like precise design, high mechanical strength and easy installation, our offered product has been able to earn a lot of popularity in the market. Special grade of asbestos DUPLEX BRAIDED packing suitably lubricated and treated with graphite to withstand caustic liquors, including caustic potash, soda, lime, ammonia and sulphides. An ideal packing for paper mill applications. PH 4 - 12. 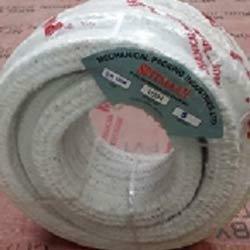 We are instrumental in providing our clients a comprehensive range of Asbestos Rope. Backed by a team vendor’s experts, these ropes are manufactured using high grade raw material and advance technology by skilled professionals. Our offered product is precision-designed, in order to meet the international standards. 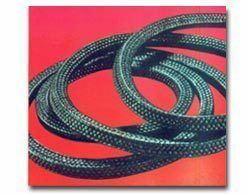 Furthermore, these ropes are availed in various sizes and other related specifications, as per the varied needs of our valuable clients. Our range is stringently tested on various parameters to assure it on counts of quality. Our reputation in the market is largely attributable to our precision-designed Graphite Gland Rope from our extensive collection of products. These ropes are manufactured using excellent quality raw material and latest technology by our vendor’s skilled professionals. In order to ensure quality, these ropes are stringently tested on various parameters by our experts. Apart from this, remarkable quality and sturdiness increase the demand of our offered range in the market. Our clients can avail this range from us at market leading prices. 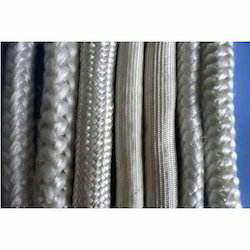 Under precious guidance of our skilled professionals, we are engaged in offering a wide range of Teflon Rope.This rope is self lubricating mechanically strong and widely used in chemicals, petrochemicals, power plants, paper, pulp and food industries. Owing to its remarkable quality, the offered product is widely demanded in the market. These ropes are manufactured by our vendor’s experienced professionals using premium quality raw material and progressive technology. Moreover, we check that entire range on various parameters to make a flawless dispatch from our end. Based on the skills of our adroit professionals and creative workers, we bring forth an extensive range of Asbestos Yarn. Owing to features like durability and easy installation, these yarns are extensively demanded in the market. A team of vendor’s adept professionals, with hard-earned experience developed these yarns using high grade raw material. The offered yarns are available with us can be avail to our clients at industry leading prices.